The TLBT is guided by a dedicated group of adults – a chairman and three division leaders. Several of these have been TLBT members themselves. However, the young people elect their own officers and directors and hold an annual membership meeting to discuss vital issues. Over 40 qualifying TLBT youth shows are held annually around the country. 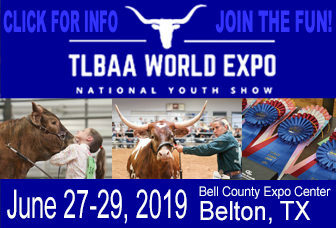 These TLBT youth shows provide many exciting opportunities for TLBT members, including qualifying for the National Youth Show held annually in Fort Worth, Texas by the TLBAA. TLBT members build lasting friendships through the shared experience of showing cattle. The fun and camaraderie enjoyed with new and old friends alike make the TLBT Show Circuit immensely popular. We even have a non-competitive class for the Peewees, children six years old or younger. You do not have to own an animal to participate in these shows. The TLBT recognizes skills outside the show ring, too. The Gold Merit Contest rewards those who carry out a project through the year and have their knowledge tested by a panel of judges. A gratuity is awarded each year to an outstanding senior, and the Hall of Fame awards go to those young people who have participated in TLBT activities and promoted the youth organizations. Awards include such items as beautiful belt buckles, show equipment, and even calves. 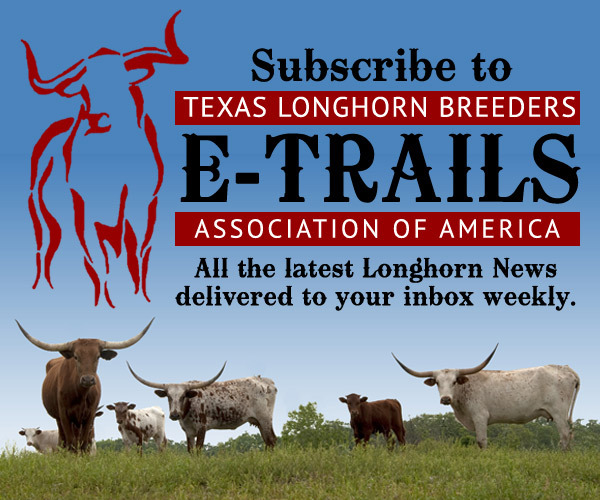 The TLBAA invites you to join the Texas Longhorn Breeders of Tomorrow. You can be a part of establishing the future of the Texas Longhorn breed, support the growth of TLBAA, meet others with the same interests and share this rewarding experience with them.